I Hate to see you guys arguing over such a minute measure. The ancient Egyptians measured in cubits, palms and digits. Maybe this will explain it a little better since one picture is worth a thousand words. 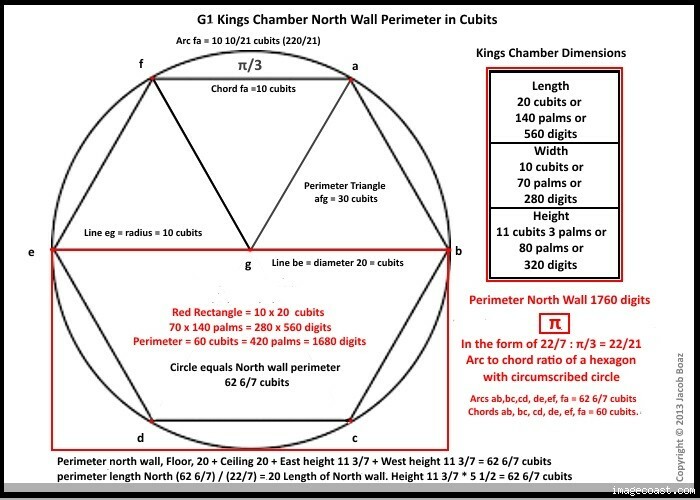 Do notice the height of 11 3/7 cubits multiplied by the seked of 5 1/2 is equal to the perimeter of the North Wall along with the circumference of the circle. The perimeter of the Hexagon is equal to the perimeter of the Kings Chamber. Now you guys can argue all you wish!